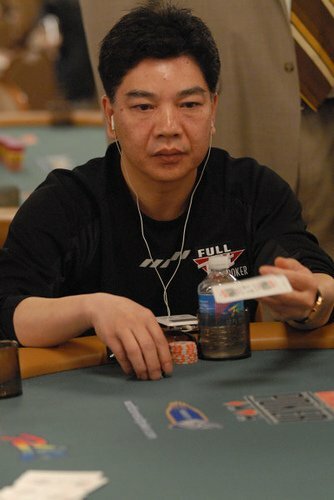 David Chiu is a Chinese-American poker player born August 23, 1960 in China. He is known for his ability to concentrate and read an opponent. He credits this ability to a swimming accident he had in China where water entered his ears and he lost 35% of his hearing. He had to concentrate more on what people were saying and learned to read their body language. He has put these skills to use at the poker table. David Chiu was a restaurant owner in Colorado when he took another job as a poker dealer. He watched the poker players and how they reacted to their cards, learning a lot about poker in the process. David Chiu has won four World Series of Poker bracelets so far. He won his first in 1996 playing in the $2000 Limit Holdem event. In 1998, he won his second bracelet in $3000 Limit Holdem. His third bracelet came in the year 2000 in $5000 Seven Card Stud and his fourth and final bracelet came in 2005 in $5000 Omaha Hi-Lo. David Chiu, once of China, now lives in Las Vegas, Nevada.